Hello my lovelies! Don't you just love a Monday that feels like a Sunday? It's warm, the sun is shining and there's a summer vibe in the air. Not to mention that I have today off and slept in, so I finally feel rested. I promised more nail art last week and here I am, keeping my promise. I don't know what got into me but I was in the mood to do a water marble this weekend. I chose some shades of blue so it would be appropriate for today's post. Here's what came out. 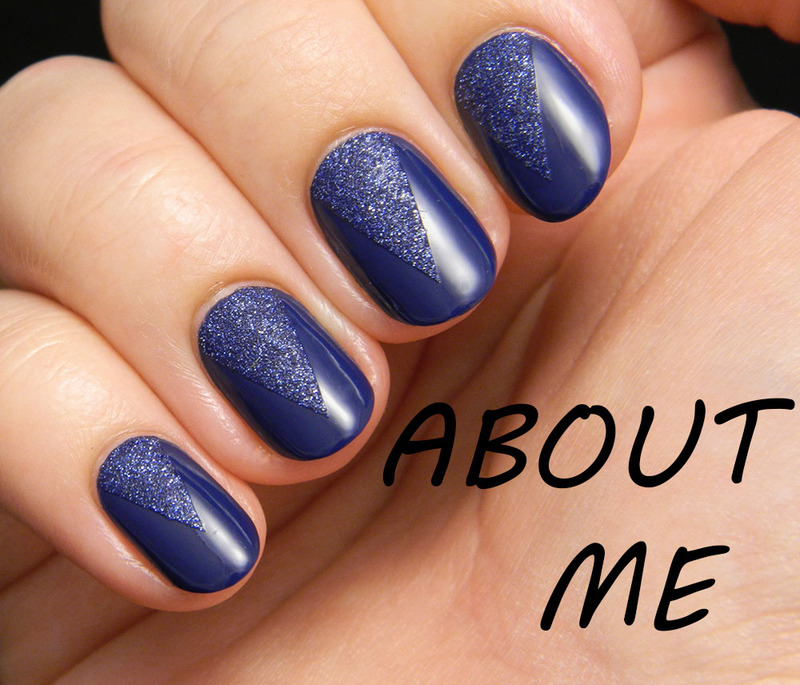 I have to admit that I had no idea how to name this manicure. The colors themselves look like water, but since there's already a "water" in "water marble", I decided to name it sky blue because it seemed fitting. Creating such a light colored marble wasn't my intention, yet that's how it came out. And I must say I loved the result. 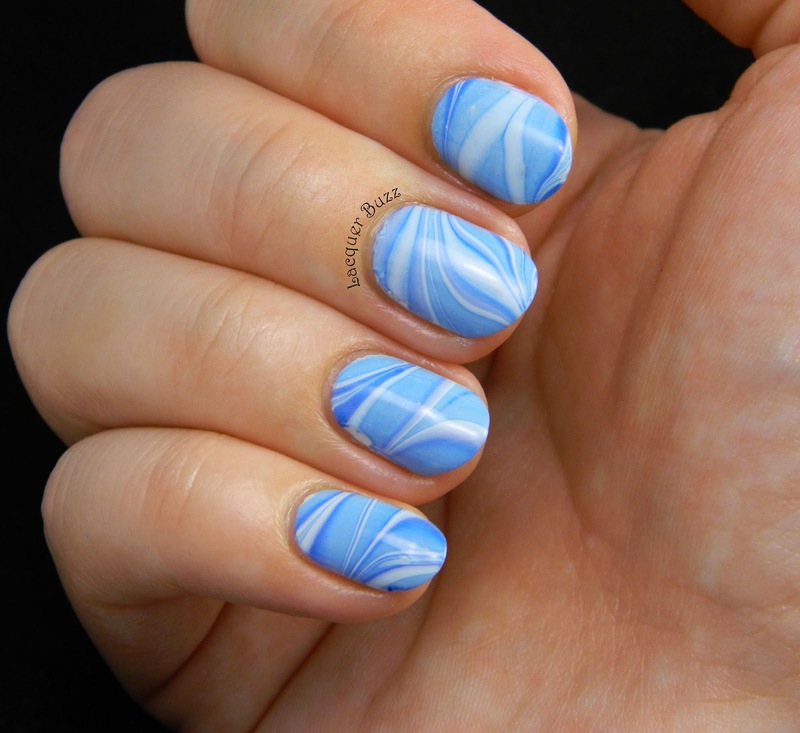 The polishes I used for this marble are Barry M Huckleberry (light blue), China Glaze Bahamian Escape (sky blue) and China Glaze Splish Splash (medium neon blue). 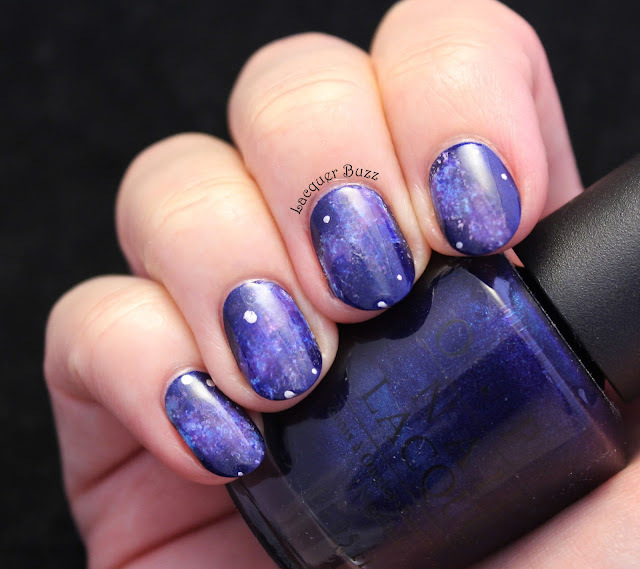 The only polish that I had some issues with was the Barry M one, just because it's on the thicker side and didn't always spread in the water. 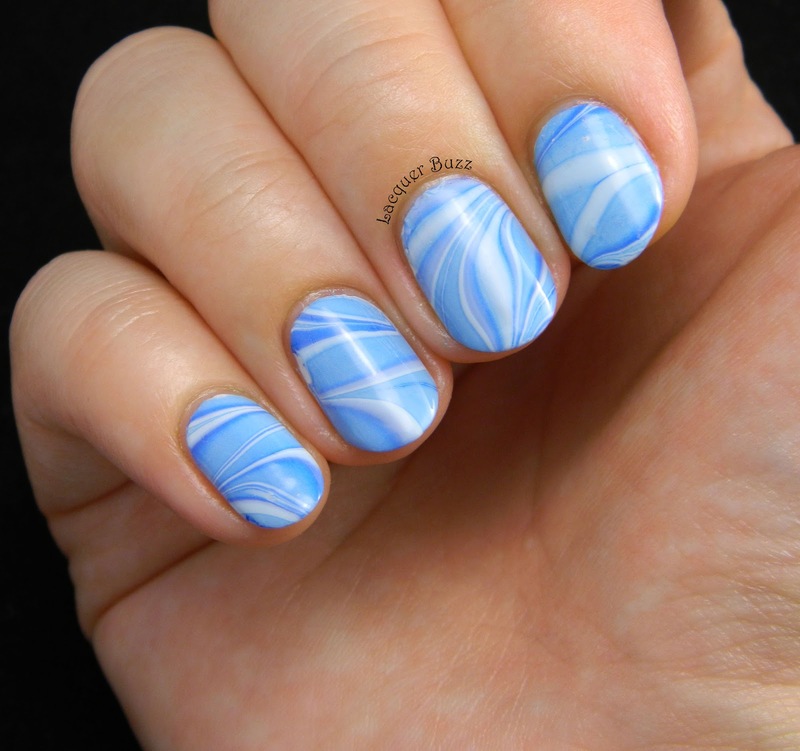 The China Glaze polishes are wonderful for marbling. I also used a different pattern compared to the one I normally use, because I tried to create sort of a striped design. It didn't come out the same on every nail but I really like the fact that there's a lot going on on each nail. 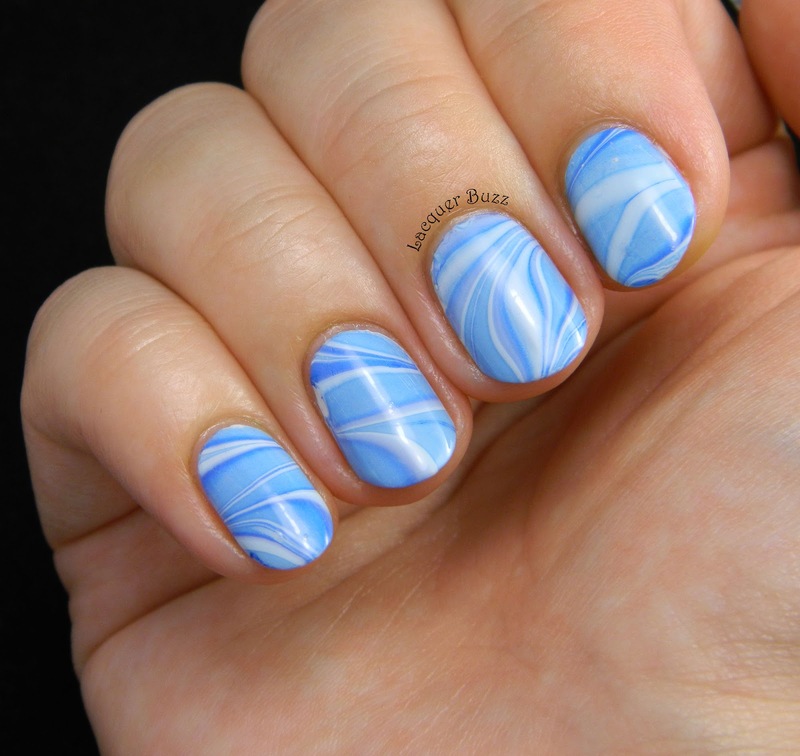 Believe it or not, I really enjoyed creating this water marble. 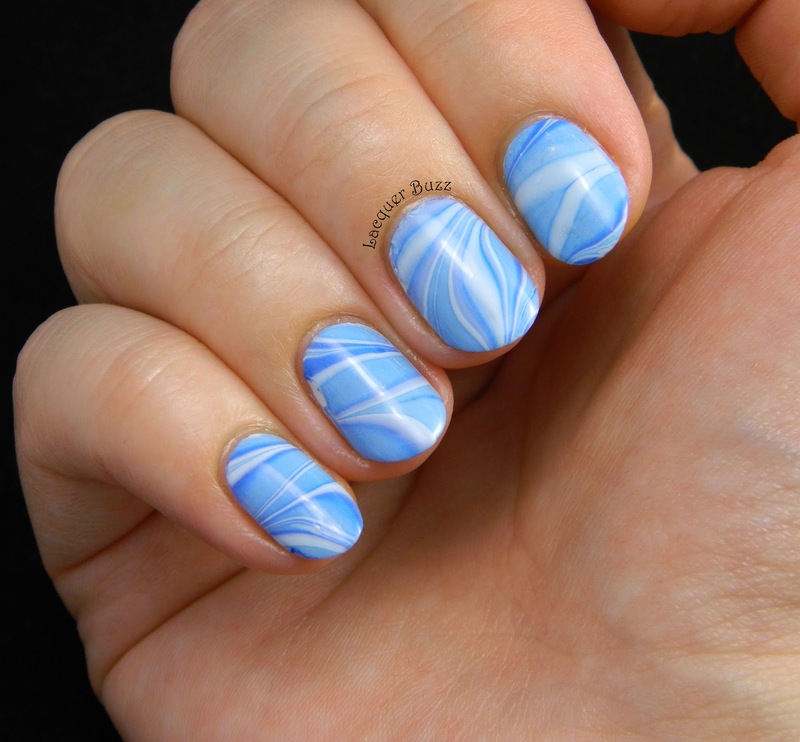 Water marbling can be fun if you use the right polishes and don't have to struggle. 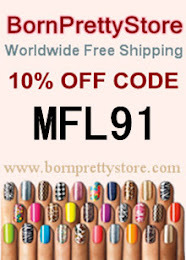 My advice is to use polishes with a thinner consistency and if one doesn't work just ditch it and pick up something else. Don't try to make it work because you will only waste your time and patience. Anyway, hope you enjoyed these nails. 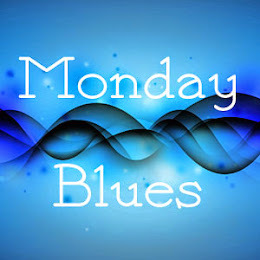 Make sure you click on the links below to see some more Monday Blues of June! Fabulously lovely. This is well done! Foarte potrivita pentru vara, sunt ca niste valuri! I love how impossibly precise this is!